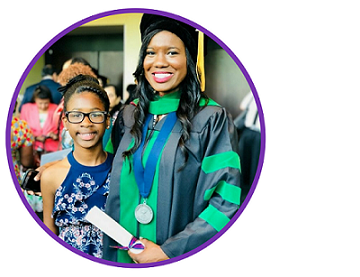 This week’s minority women in medicine highlight goes to Dr. Aisha Bailey. She is definitely a woman of many talents as she is not only a physician, but an innovator, business woman, and mother. She is also the creator of Ishababies® and the CEO of Aisha & Co., LLC. She is definitely a superwoman and a great source of inspiration. Before I started medical school, I started a greeting card company called Aisha & Co, LLC. At the time I was actually living in New York and going to Colombia University taking post baccalaureate courses since I was an English major in undergrad. I worked for the New York City Medical Examiner’s office assisting in the 9/11 identification process, and I think that it ended up taking its toll on me. To cheer myself up and channel some creative energy I put my all into my company. I actually really started to like that and I started using it while I was getting ready to apply to medical school. 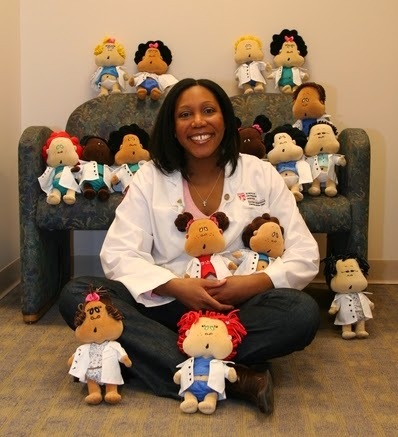 Right before medical school, I came out with a line of dolls called Ishababies®. It features sixteen babies of sixteen different flavors with all different eyes and skin colors. That has essentially been my hobby throughout medical school to residency and now. What made you want to start Ishababies®? I grew up in an area that was not necessarily very diverse and I wanted children of all colors and cultures to have a baby that they could relate to. I grew up and had a limited amount of dolls that looked like me. I wanted a doll or companion that could be a friend, wanted it to be big enough for them to cuddle, light for them to carry it around wherever they went, and something that they could talk to and really rely on. We have all different hair, skin, and eye colors, and that was important to me as well. We did flavors because I did not want to put them in any sort of racial/ethnic category. Though they reflect a good deal of the population, I still hope to make even more flavors in the future. I have always wanted to become a physician, but I remember being about 3 years old and saying that I wanted to be a nurse. My brother was admitted to Boston Children’s Hospital for something, and I told my dad I wanted to become a nurse since I believed that was the highest you could go as a woman in the medical field. He said “have you ever thought about becoming a doctor?”, and I decided I would be a doctor for children. I actually stuck with it and told everyone that I was going to be a pediatrician. There was an interesting point in my life right before I was applying to medical school where I literally started my company from scratch, had patented and trademarked all my creations, and was so proud of it that I kind of almost doubted going to medical school. As luck would have it, everyone kept reminding me about how I always wanted to be a doctor and I knew I had to pursue that dream. I was definitely a non-traditional student because I did took post baccalaureate premed courses after undergrad to get my basics and then I went onto medical school. My post baccalaureate program was complete in 2-2.5 years. That’s a great question. During my Junior year at Brown University, I went to Zimbabwe for 6 months to study abroad and the hospitals there were grossly understaffed and did not have a lot of resources. There was a doctor there who worked with the Salvation Army and was a DO from Canada. I remember him treating patients with such care and grace and I knew that was the kind of doctor that I wanted to be. People traveled from all around and we treated a lot of patients, but he never turned anyone away. He always smiled and people just cheered up to see him. So that stuck in my mind. When I got back I did write about the experience in my personal statement, and although I did apply to both MD and DO schools, what was fully realized was that I really wanted to be a DO. In my personal statement, I put that I wanted be a doctor who really cared for my patients, treated my patients with compassion, and as I researched more of what DO’s do, that is really our core tenet. It is really about treating the whole patient along with respecting and caring for the patient, so it was a great fit. When I got accepted into medical school, I put off the fact that I wanted to be a pediatrician because I knew that I was choosing a career for life. During my 3rd year rotations I really went around and put my all into whatever I was in at the moment. One of the biggest surprises I would say is that I ended up going into surgery and loving it even though I chose it first so that I could get it out of the way. That being said, I felt called to Pediatrics. I felt at the end of the day, no matter how many patients I had seen, and even though I was tired, it really fulfilled me. I loved the fact that I could talk to my patients no matter what age they were, and I have always loved children, so it is something that still sustains me even though it can be busy and hectic at times. That has been the hardest thing to do especially being a mother and being in the position that I am in now as a Fellow and as an Attending. It is something that I am still looking to work on. I will say that I have fallen back on my business, even though it still excites me because my son is a toddler. He is 15 months old now and my saving grace because he demands my attention. I appreciate the fact that he is his age and he is an only child, and I cannot give him excuses. He is the one who grounds me. Don’t give up. You’re going to have set backs. There will be a bunch of people who will tell you that you cannot do it, and that you do not belong wherever you are and no matter what your background is. You just have to keep a good head on your shoulders. You have to surround yourself with people who believe in your dreams and who will help you persevere in that dream. If there are any friends who doubt you or do not believe in you as much as they should drop them. You don’t need the drama and you do not have time for it. You’ll get to where you need to get. I would also say you have to celebrate your accomplishments. That has been the hardest thing for me to really realize. I have done a whole lot and I am always looking forward, but it really does mean something to try to celebrate how far you’ve come and what you’ve done when you do finally do it. 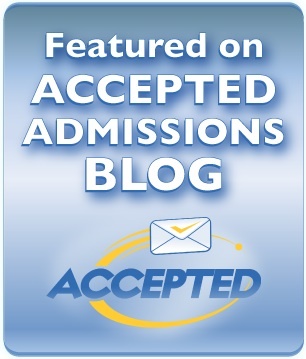 What advice would you give to entering med students? Medical school is a whole different world. Someone told me that it is an intellectual bludgeon as a pretty good description. I have a pretty good background and went to good schools, but came to medical school and thought we’re all in med school together, we’re all cool, and everyone is going to be friends. I don’t know what I was thinking! You just have to be professional. Yes you will make friends, and given I’ve made some really good friends, but if I had to do it all over again, I think I would have come in with more of a work focus. I had it, but it seems like there are a lot of other things going on with people in medical school which makes sense. You have people who have always been at the top of their class coming into medical school and they don’t want to see you do better than them. I think I was a bit susceptible to some of the games that people played. In the end it doesn’t matter because everyone becomes a doctor, but just don’t get caught up in that madness. If you have a career goal of what kind of doctor that you want to be, it is definitely admirable, but even if that is the case set up third year so that you can see everything else and really decide before you get into the application process. That’s the biggest thing. 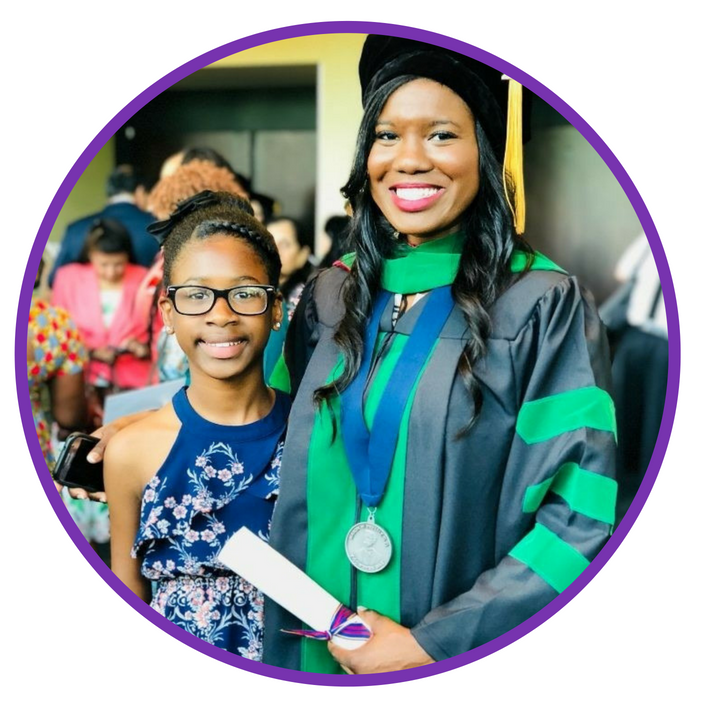 For more information about Dr. Bailey, her company (Aisha & Co, LLC), and Ishababies®, please check out her website: http://www.aishaco.com/. DR. BAILEY, I DEFINITELY APPRECIATE YOU TAKING THE TIME TO ANSWER MY QUESTIONS AND FOR YOUR VERY HONEST AND THOROUGH RESPONSES. THANK YOU SO MUCH FOR BEING SO OPEN AND FOR ALL OF YOUR HELP TOO. MY DAUGHTER IS STILL YOUNG ENOUGH TO ENJOY DOLLS, SO I WILL DEFINITELY BE ADDING SOME ISHABABIES TO HER COLLECTION IN THE NEAR FUTURE! Thank you :-) Be on the look out for more interviews coming soon!